Finding the perfect used Daewoo couldn’t be easier with Carsnip - we’re pleased to offer you 14 used Daewoo vehicles at great prices. With such a large variety all in one place, we make it simple for you to find the ideal used Daewoo car in your area. 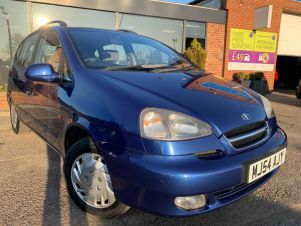 Renowned for low prices, Korean manufacturer Daewoo have several models available on the used market that represent great value for money. 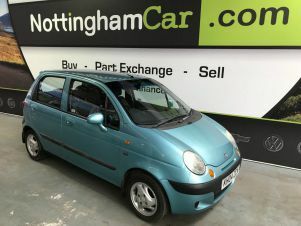 Although well-known for producing slight alterations of other company’s cars, the Matiz was the first Daewoo in the UK that proved fairly popular, thanks to its low purchase and running costs. And with many still available for well under £1000, if you’re seeking a bargain, the Matiz is still a good choice. Other models, such as the Lacetti and Nubira similarly represent great value, with surprisingly decent build quality for bargain basement prices.